Below is just a short summary of the education. How would you like to live in a time where education was not appreciated very much? This is exactly how it was during the Victorian era. It was not that people did not want to be educated, but rather, it was more important to have children and adults alike working to be able to keep food on the table. The pay in the vast majority of jobs during the heart of the Industrial Revolution and the Victorian era was simply not enough to be able to provide for an entire family. Therefore, the poor children normally would be living in the streets or in overcrowded deserted homes. The times they were not there they would be working in factories with terrible working conditions. They would typically spend 16 hours per day working. 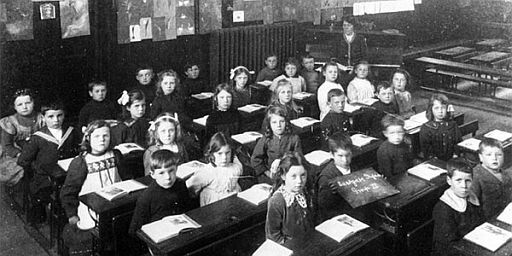 It was not until 1870, roughly halfway through the Victorian era that the Education Act was put into place. Prior to this point education was based on your social standing, your religion, and financial abilities to be able to attend school. Main reason for this was that all types of education were always privately funded either through churches or private individuals. Sometimes there might be a charitable organization that would step in and provide funding for education. Now, though, with the 1870 Education Act, many schools were receiving government grants to keep their doors open and make it free for those who wanted to attend. The boys and girls were still separated when it came to education, however. The girls would almost never attend schools. They were instructed to stay home with their mothers and learn the roles of being good wives and homemakers as that is what they almost always ended up doing. Generally, it was only boys who were accepted to attend schools. 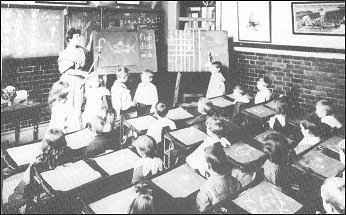 They would learn basic things such as reading, writing, and arithmetic. Even after the Education Act, even though this allowed more children to attend school, it was not necessarily mandated that children attend. Many would go for a short period of time, but still, spend the majority of their days working in factories. This would be the case for many of the children who were even too young to attend school by today’s standards.